Miami-Dade commissioners OK’d spending $8.9 million on 10 acres in Doral to create a “buffer zone” between the county’s Resources Recovery Facility and nearby residential and commercial developments that over time have encroached on the building. 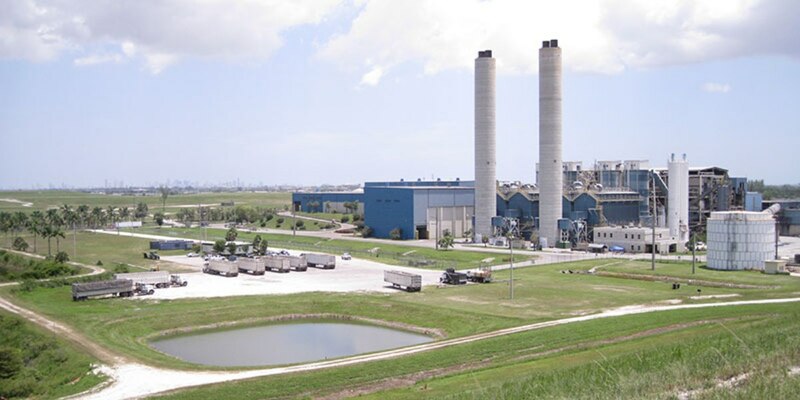 Funding for the acquisition and “future expansion of the [facility]” will come from the waste department’s Solid Waste Management Disposal Fund, Deputy Mayor Ed Marquez wrote in a Feb. 5 memo accompanying the item sponsored by Jose “Pepe” Diaz. The facility, Mr. Marquez wrote, is “the workhorse of the [county’s solid waste management and disposal system, receiving] 1.3 million tons of garbage and trash every year.” Personnel at the facility use a mechanical and thermal process, which reduced landfilled waste by about 90%, to recover aluminum, steel, tin, copper and other metals and generate 77 megawatts of electricity hourly, wholly powering the plant and about 35,000 homes.